Sadly these seem to be child-sized only. 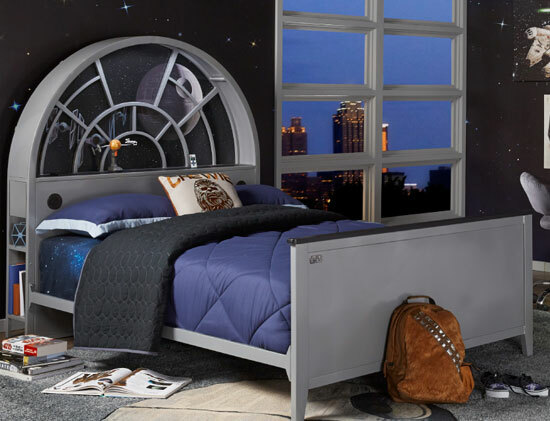 But if you have kids, you can indulge your movie obsession once more with the Star Wars bedroom furniture at Rooms To Go. Saying that, one piece might well adapt for adults. More on that in a moment. For now, let’s look at the range itself, which is of course, based around key vehicles from the Star Wars series. 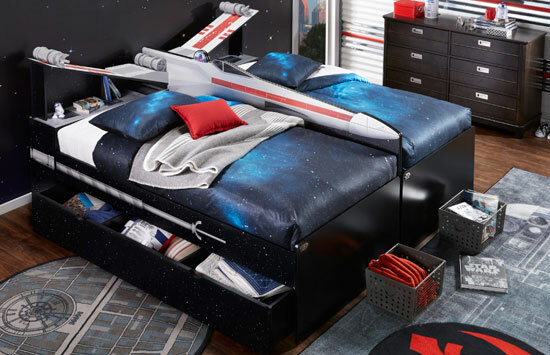 So there’s the option of a Star Wars X-Wing twin bookcase bed (left, right or both) complete with built-in storage or a Millennium Falcon bookcase bed, which also offers built-in Bluetooth, speakers, audio controls, built-in touch lighting and a charging station. 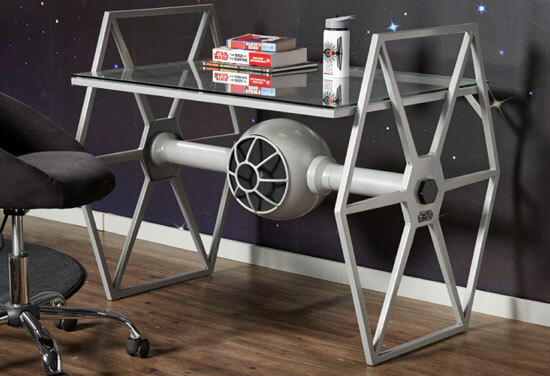 If neither of those float your boat, you can go for the Landspeeder orange bed with left and right engine storage night tables or of if a bed isn’t what you require, check out the wonderful Star Wars Tie Fighter desk. 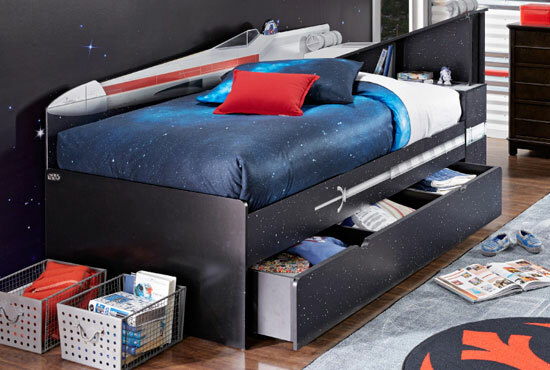 That’s the piece that might work for an adult, depending on size. The one drawback is potentially shipping. We just can’t work out if the retailer ships outside of the US. 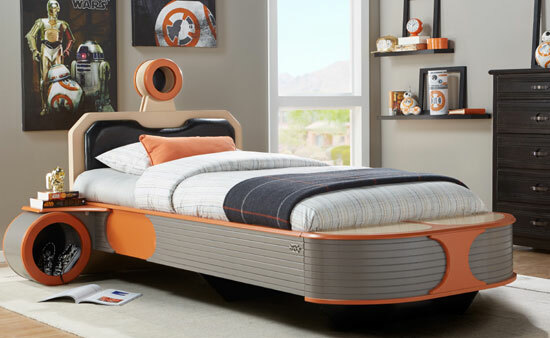 If they do – or you are in the US – prices are between $399.99 and $1199.99 and all the pieces seem to be available right now.